EA does the right thing and removes this hot iOS mess. Electronic Arts' Battlefield 3: Aftershock looked terrible the moment we laid eyes on it last year. There was no single player campaign to speak of, and mindlessly shooting enemies made us sleepy. Oddly enough, EA released a multiplayer focused version on the App Store earlier this month, and after scores of terrible reviews, decided to pull the game altogether. EA Mobile is committed to delivering mobile entertainment experiences that are on par with the content and quality users have come to expect from their favorite EA gaming brands. 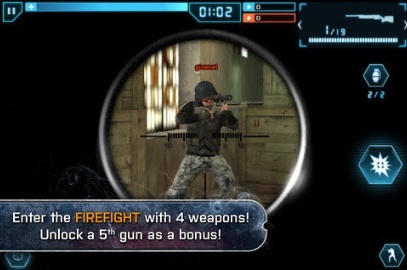 To this end, we have decided to remove Battlefield 3: Aftershock from the App Store and are currently re-evaluating the app in response to the consumer feedback we've received. We thank all the fans who have downloaded the game to date. We certainly hope this isn't the last we've seen of this title, but it's clear EA needs to put more effort into making it enjoyable.